Friends, you have a very bad news! Railway Recruitment Board is going to cancel the online exam 2016 (CEN- 03/2015) for various Non-Technical Popular Category (Graduate) posts. The exam of which was started from March 28. Although no official notification has been released yet, but it almost sure to be postponed. The RRB computer based test (CBT) has been canceled due to leak of exam papers. More than 83 lakhs candidates have been applied for RRB NTPC 2016 recruitment exam. 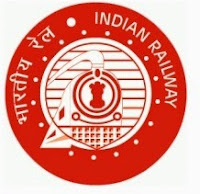 After the paper leak, the railway recruitment department has decided to cancel the recruitment exam and reschedule the exam. The decision has not been finalized yet, but likely to be done soon. How will be the candidates intimated about the rescheduling of exam? Well, the candidates will be intimated through SMS and emails about their new exam venue and dates. Official notification regarding exam cancellation is yet to come soon. If you have any query regarding RRB NTPC 2016 exam postponed, put your query here. 9 comments for " RRB NTPC 2016 Online Exam likely to be postponed "
is it sure that the exam will be cancelled?? but there is no such kind of notice on rrb site. Kal sakal a exam hoga kya? BUT MY EXAM IS TOMORROW I MEAN 27/04/2016 .SO WHAT I WILL DO? .PLEASE REPLY CURRENTLY. Official should be suspended as they are not mentally fit in their responsiblity.It simply means that in all govt job earlier paper in pen&paper, such leaks had happened unnoticed. Since this time is online their human network's unfair deeds.This is like cheating to all students that appeared exam despite summer and urgent work.who will bear the cost?